Happy New Year! We hope you enjoyed time with your loved ones over Christmas and we wish you all a happy and prosperous New Year. Summer is a great time in Port Stephens for visitors and residents alike and it is fantastic to see so many people out and about enjoying all that the destination has to offer. We are interested to know how the 2018/19 holiday season has performed for the tourism industry and will be in touch in early February to ask members to complete a short survey. To capitalise on the experiences offered in the destination and to remain competitive in the cluttered travel landscape, DPS seek to revisit the current brand position, in partnership with Destination NSW, with a view to evolving it. The aim of the survey is to understand what Port Stephens as a destination embodies at its core as this will assist in our efforts to competitively position our beautiful destination to visitors. As a tourism stakeholder and passionate local, we’d love to hear from you. The survey will take around 10 minutes and your responses are anonymous. Please note that questions marked with asterisk (*) are required. 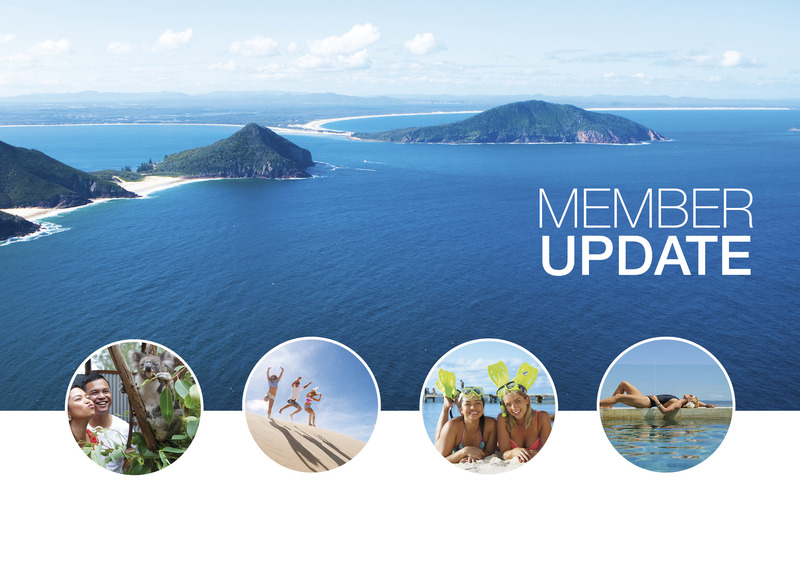 If you have any questions about the survey, please contact Eileen Gilliland at Destination Port Stephens on 4981 2964. We appreciate your time and input. CLICK HERE if you would like to complete the survey. To further extend the peak season, DPS will continue to undertake marketing activity including an EDM to holiday club members (over 12,000) and social media engagement (over 28,000 followers on Facebook and 13,000 on Instagram) to encourage visitation throughout the remainder of January and February. Please ensure your web listings and availability (where applicable) are up to date. Time’s running out! There is a record $32,000 worth of scholarships up for grabs in the Mayoral Academic Scholarship Program to assist local students. CLICK HERE for the application to apply by Friday 18th January, for local students to get an extra bit of help for textbooks, a laptop computer, or student accommodation. Vodka & Vibes in the Vines at Murrays Brewery – a festival dedicated to Vodka across the weekend 19 – 20 January. Includes the release of ‘ONE Pineapple’ and ‘ONE Coffee’ Vodkas as well as entertainment, masterclasses and more. Click here. Summer Coastal Activities – free fun and educational activities relating to our unique coastal and marine environment throughout the summer holidays. For more information on the activities click here. Australia Day Celebrations – Saturday 26th January 2019 across Port Stephens. Sacred Tree Markets – Friday 18 January, 4pm to 9pm at the Nelson Bay Foreshore, Victoria Parade, Nelson Bay and d’Albora Marinas. Market information click here. Port Stephens Toyota Surfest Wildcard Trials – Don’t miss the commencement of Surfest Newcastle Australia on 2nd February with the Port Stephens Toyota Wildcard Trials being held at Birubi Beach, Anna Bay. Click here.